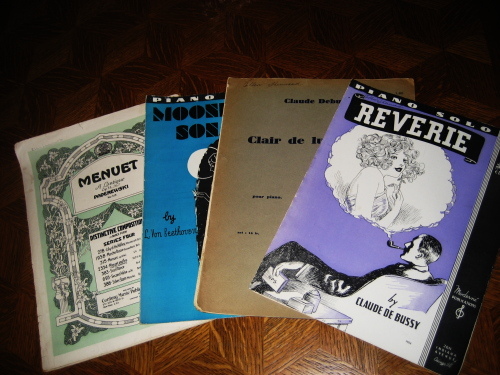 Although I am unable to read them, I have a fondness for sheet music from the early 1900s. I find them at yard sales, library sales and thrift stores. The first time I heard this piece I was in high school in Alhambra, taking an arts appreciation class… When the music began I remember feeling a wave of chills over my whole body, my eyes welling up… I felt light headed and drunk from the music… I love this piece. Thank you for posting it. Susy, its funny because I just noticed they are using this song for a commercial playing on TV these days. You might also like Erik Satie, one of Debussy’s contemporaries. 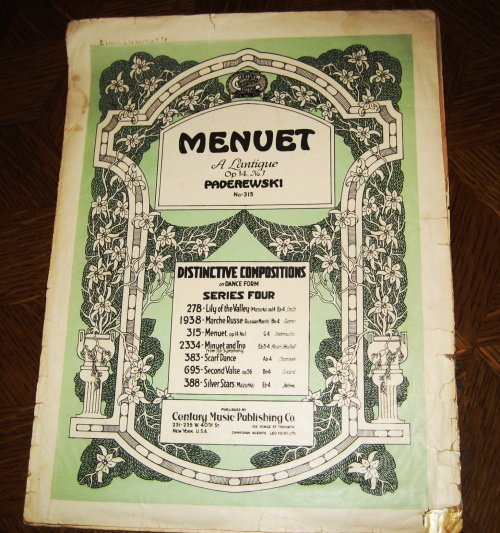 Did you find the sheet music? They are such symbolic relics of a time gone by…to think they were the main way in which music was at one time, distributed and popularized. Thanks for sharing your beautiful story!